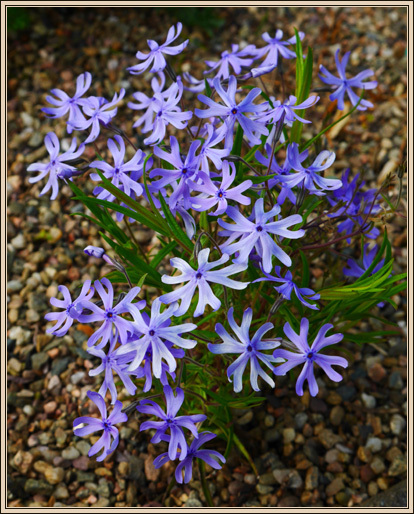 Phlox bifida, known in America as 'Sand phlox' or 'Cleft phlox', originates from the north, central part of the USA where it typically grows on rock outcrops, limestone glades and in generally dry or sandy areas. 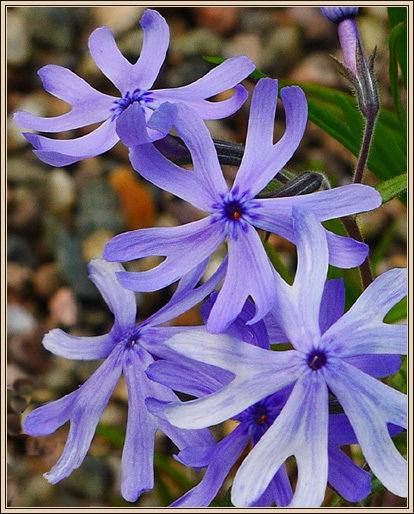 Phlox bifida 'Ralph Haywood' is a low growing semi evergreen perennial with many salver form flowers borne on abundant cymes, that is flat topped pleasantly fragrant star shaped flowers which are pale blue with a dark centre, and growing to a height of up to 20cm. Flowering time is May to June. Propagation is via softwood cuttings from non flowering stems in spring.